Harvey and Wheeler are each starting a game in today’s doubleheader. Today is a big day for the Mets as they look to give fans a preview of what they will be building around for years to come. The Mets play the Braves in a day-night doubleheader with their two best young arms starting each game. In game one Matt Harvey takes the hill, who has quickly emerged as one of the premier pitchers in the game. Then in the night cap, Zack Wheeler will make his much-anticipated MLB debut. These two have been projected to become a powerful 1-2 punch for the Mets as they look to build a core for this starting rotation to build around. Sandy Alderson has recently stated that the Mets will be adding payroll and look to be buyers over the next 6 months. Alderson is banking on a front line rotation of Harvey and Wheeler being cornerstone pieces as he looks to fill in the voids that exist elsewhere. Attracting free agents will be much easier if players see that these two are going to be a force to reckon with. So far this year, Harvey has already proven that. If Wheeler is able to do the same, it will make the Mets look all the more appealing when it comes time for free agents to select a team to sign with. I would really like to see Harvey and Wheeler form a bond for the rest of this season. Harvey is the perfect player for Wheeler to model himself after, as he went through this very same situation just a year ago. It could prove to be very beneficial and you would like to think they would feed off of each others starts. You hear so much from pitchers who were apart of great rotations that they would try to out pitch one another in their starts. It is that kind of attitude and competitive nature that the Mets have lacked for years that could really influence their progression early on. Despite being a lousy team, Harvey doesn’t accept losing and we need that same attitude to be embedded into Wheeler as they look to turn things around. Both of the Mets World Series titles were built around young pitching. In the late 60’s, the Mets produced future Hall of Famer Tom Seaver and Jerry Koosman, who won 222 career games himself. The two of them played crucial parts in turning this once dismal franchise into a champion. In the 80’s, phenom Dwight Gooden emerged and took the league by storm. They surrounded him with a mix of young arms both home-grown and through trades that consisted of Sid Fernandez, Ron Darling and Bob Ojeda. This is the best rotation the Mets have had to date as they went on to win another World Series title for the Mets. This is ultimately what Alderson hopes to achieve with this roster. He already has his phenom in Matt Harvey, now we wait to see if Zack Wheeler can live up to the hype that has surrounded him since being acquired for Carlos Beltran. With Jonathon Niese established as a solid middle of the rotation arm and Rafael Montero’s rise in the organization, the Mets could soon be on their way to an exciting young staff. Not to mention Noah Syndergaard, who was a piece included in the R.A. Dickey trade, is just a few years away and provides even more depth. This could make one of these arms expendable in trading for a power bat this team so desperately needs. 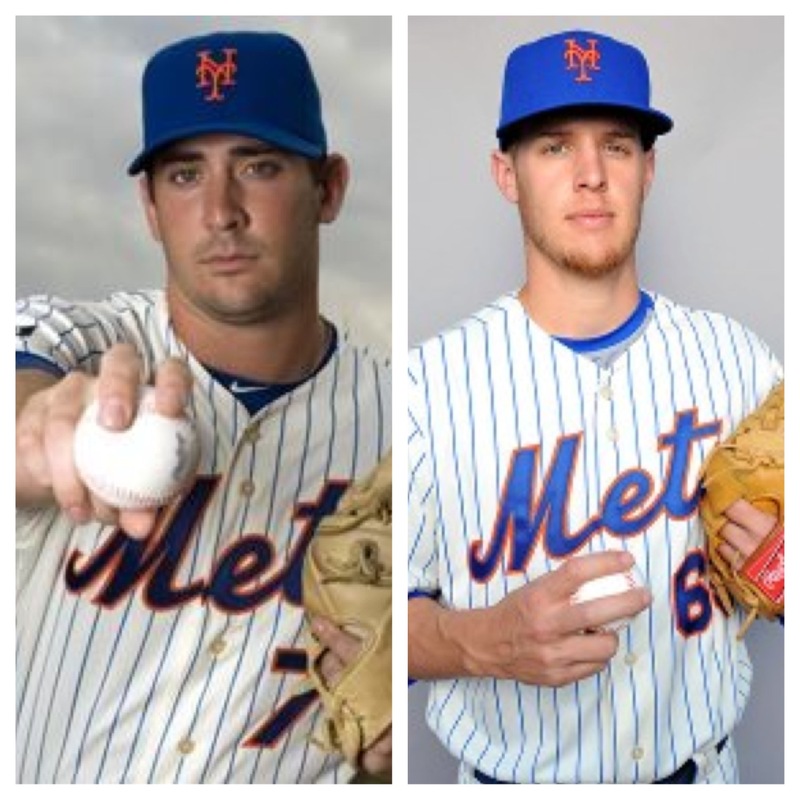 Let’s hope Harvey and Wheeler can together form a rotation worthy of bringing another championship to this franchise and avoid ever being mentioned in the same breath as “Generation-K”. Tomorrow will be a fun day to watch as the Mets future FINALLY begins to take form.